Lore Raymond: How will you celebrate National Love a Tree Day? How will you celebrate National Love a Tree Day? Yet there’s scientific proof of the emotional and physical benefits of being a tree hugger. 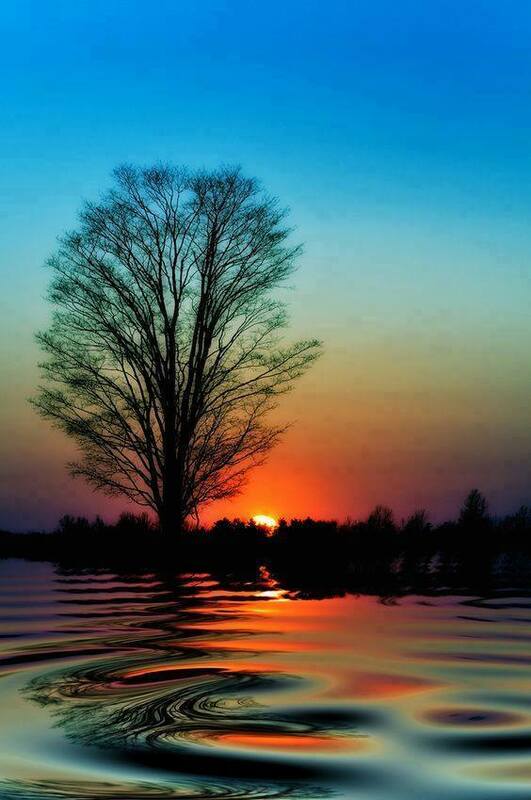 Research shows that it’s the tree’s vibrational properties that heal those closest to them. Trees talk if we are listening. Matthew Silverstone better explains the details in Blinded by Science. Japan has over 62 "forest therapy" sites; the government takes being with and hugging trees very seriously. Trees can even talk with one another and share information underground! Consider the work of Dr. Bernie Krause, creator of Wild Sanctuary, who’s studied the soundscapes of many living organisms including plants and trees. He’s recorded these sounds and shares them in places like the American Museum of Natural History-Smithsonian and the Houston Museum of Natural Science. Seems the original "tree huggers" date back to 1730 when hundreds of Hindu men and women were slaughtered while clinging to trees to protest their village's deforestation. A maharaja wanted the land cleared to build his palace. 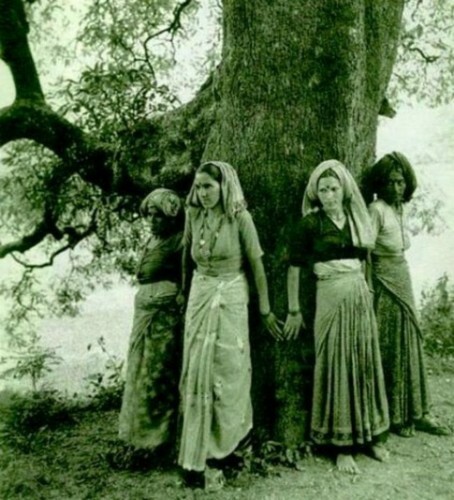 This intense love of trees later became a movement called tree satyagraha; it was this passion that caused India’s government to better manage their natural resources. Even in my Florida backyard, some tree-loving unfolded. 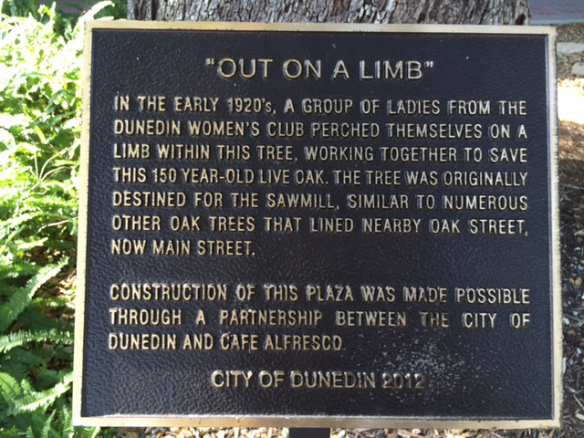 Can you imagine the 1920's scene in Dunedin, Florida when several women climbed into the arms of a giant, 150-year old live oak tree? They perched themselves on one massive branch to prevent the tree's trip to the sawmill. The city sought the tree's lumber to support its building boom. Members of the Dunedin Women's Club thought differently. It’s no surprise to learn that the women in this charming town, founded by two Scotsmen, would honor their Celtic, ancestral roots and love of the Sacred Oak. Happy news: The 150+-year-old Florida live oak tree lives! Why blog about National Love a Tree Day? As an author, I use tons of paper. I love the sensory feeling of hearing my pen move across the page. Maybe you do, too. I also now realize as a consumer, I use many paper products--tissues, napkins, paper towels, post its, and toilet paper. I am now rethinking my use of paper--a gift or unwilling gift--of the trees. Perhaps I can find paper and journals made from trees that died naturally and weren’t harvested for the sawmill or pulp mill. I also can find ways to use less paper. Today I will love a tree. Blessed to see and be in the energy of this 500-year-old oak tree in Safety Harbor, FL. Beautiful post from the perspective of a writer too. My joy. What kinds of tress do you have there in Africa, Leila? P.S. Thanks for sharing this blog post. I adore trees Lore and so love to hug them. I often feel a pulse from a tree and read recently that they actually have a heartbeat! I find hugging trees to be very therapeutic and encouraged participants of my Nurture in Nature workshop recently to hug a tree. Thank you for sharing that it is National Love a Tree Day! I intend to celebrate! 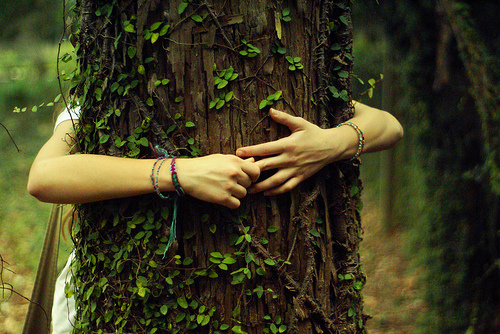 Yes I love trees and have a magical phot or too of me hugging trees- I will fin a tree to hug i the morning. i didn't know it was a special day, you are amazing how you share so many special days, love it. What a tender thought--tress hugging back, Jill. Have you ever seen the Safety Harbor oak? Mu decision to release all of my books as ebooks was done as my contribution to cutting down the use of paper for books. I have fans who are asking me to release paperback editions for those who prefer holding a "real"book in their hands and I am thinking long and hard about it. I talk to trees all the time. They are my relations. Appreciating your tree connection, Barb. "They are my relations." Yes, indeed. I am definitely a tree lover and tree hugger, Lore! As far as paper not made from trees, there is an alternative on a sight called Poo Poo Paper, who has paper made from things like elephant dung and other animals poo. Can't wait to stock up while in Kenya. Trees are very intelligent and a friend of mine has conversations with trees (not verbal, but more sensory communication ones) and then creates artwork from the message the tree is offering. I've also written about the great ability to communicate with each other that trees possess. Each time I walk, I sense which tree is calling to me and I go over and offer it some words about being seen and cheering it on to thrive and grow! I know you'll be connecting to the Tree Spirits when you're in Africa, Bev. I, too, am a tree lover and have planted lots of them. But, since you asked about celebration? I get to share about one of my favorite companies. Check out https://us.whogivesacrap.org Who Gives a Crap -- a company that recycles office paper and adds bamboo to create wonderful "paper" products. And the best part? Aside from not using trees? They dedicate 50% of profits to building toilets for the almost 40% of the world population without such access. (And they work from the UK and Australia, too.) Stepping off my soapbox now. I do love trees too Lore. And over time, my love for them has made me eliminate the use of paper unnecessarily. So yes very conscious of how my actions can make the trees and thereby the earth happier. Thanks for your comments. I agree, it's time for me to use less paper.